In honor of the Tu B’Shevat holiday, Israelis are filling their tables with dried fruits and taking the holiday opportunity to enjoy nature. While we don’t directly refer to our style of eating as “farm to table”, Israeli kitchens have been historically reliant on getting their produce from a 2 hour radius. Though we love to eat from our land, with high costs for materials and labor, and challenging weather, the farming does not always equate to sustainable. To learn more about sustainability in Israel, we love visiting these spots. (1) Farma Cultura (website is Hebrew only) is a beautiful organic vegetable farm located on moshav Bnei Zion, not too far from Tel Aviv. The farmland uses Permaculture methods, designed for sustainability in mind. Their eco-shop serves one of Israel’s best green shakes, and Farma Cultura offers farm-to-table meals in view of the gorgeous landscape nearby. 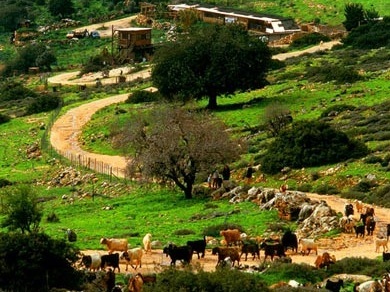 (2) Salad Trail (‘Shvil Hasalat’ in Hebrew) is a unique tourist attraction, known as a ‘touch and taste’ farm. Located down south in Israel’s Negev desert at moshav Talmei Yosef. They offer a 3 hour experience (led by an agronomist) demonstrating how Israel made the desert bloom, and you’ll also be sure to enjoy some of the fruits of your labor. 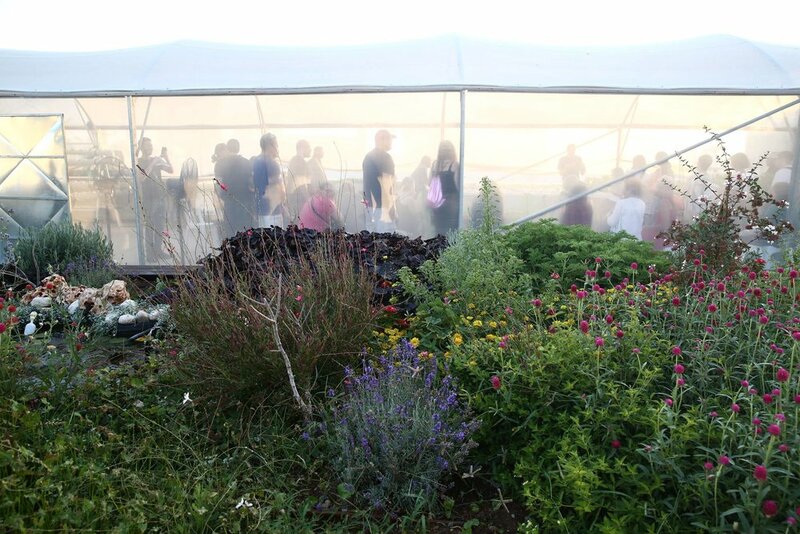 (3) Bio Farm at Sde Eliyahu: Israel is famous for agricultural technology and advancements in organic farming, and Sde Eliyahu is a wonderful place to witness these developemtns alongside religious Jewish observance. The kibbutz is also a leader in bee pollination, helping to produce some of Israel’s tastiest strawberries. (4) Fruit picking at Leket. Leket is one of Israel’s largest charities, helping to provide healthy food to the neediest populations in the country. They rely on hardworking volunteers who, among other activities, help glean fruit and vegetables in fields in a few locations in Israel. This is a wonderful, family-friendly activity that will be both enjoyable and meaningful. (5) Goats With the Wind is so much more than just a clever name! This serene organic goat cheese farm and restaurant combines Italian cheese-making techniques with Israeli pastures and grazing goats. They offer some of the tastiest food in the region, which you’ll enjoy in handmade gazebos surrounded by beautiful artifacts. Read more about our favorite Israeli goat cheese farms here. (6) Hiriya Trash Park: what used to be called Israel’s “trash mountain” has been transformed into a national example of the importance and power of recycling and taking care of the land. Miraculously, urban planner Peter Latz was able to design innovative features for rejuvenating this land (including a world-class recycling center) and today the park is covered in lush greenery. There are plans underway to turn this space into Israel’s Central Park in the years to come. (7) Hava and Adam is a self-described “Eco-Educational Farm”, designed with the goal of connecting people in more meaningful ways to the environment, including adopting more sustainable lifestyles. Their spiritual approach to bridging man and nature also emphasizes personal development, and they offer long-term programs for individuals looking to work the land and work on themselves at the same time. (8) City Tree (their FB is more up to date): City Tree is a community dedicated to showing how to live more ecologically-friendly to anyone who is interested. Workshops, classes and meetings take place in their home, which is a commune, every Tuesday. You can also arrange a specific time to meet with them outside of normal hours. We recommend getting in touch on Facebook! (9) Dizingoff Center’s Urban Community Garden: The sprawling, bustling Dizengof Center is Israel’s busiest (and only dog-friendly!) mall - hardly the place you’d associate with agriculture or sustainability. But on the rooftop you’ll find an extremely impressive urban garden as part of an initiative called Green in the City. The 750 square meter garden grows all kinds of produce and features workshops by request. 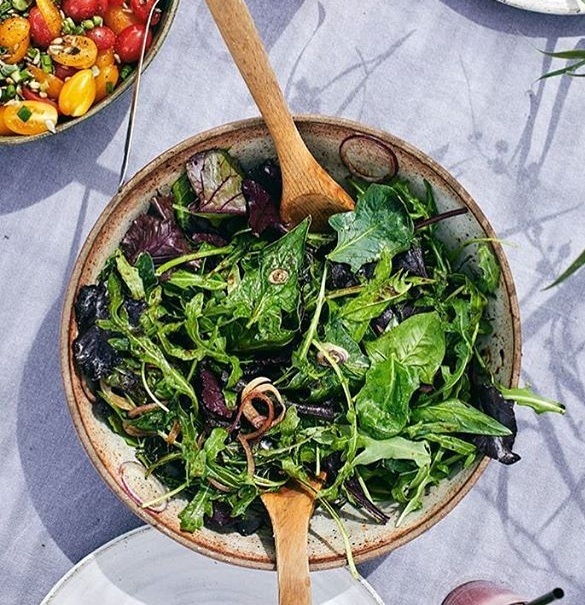 If you’d like to learn more about sustainability and veganism in Israel, we recommend checking out this great article in The Culture Trip, featuring comments from Delicious CEO Inbal Baum.